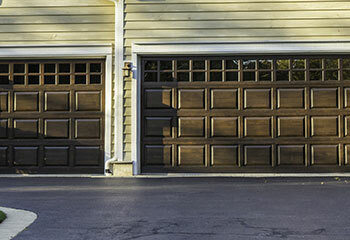 As the leading garage door service provider around, we take pride in being able to offer affordable and effective solutions to any homeowner in need of professional assistance. Take a look at our latest projects to see how thorough and dedicated our technicians are. Customer Issue: Wanted a new opener and for it to be installed. Our Solution: We sat down with our customer to help her find the right opener to suit her needs and budget. She decided on a Genie 4064 for its speed and we assembled and installed it into place, as well as calibrated the remote controls and wall pad. Customer Issue: Wanted to replace his old door. 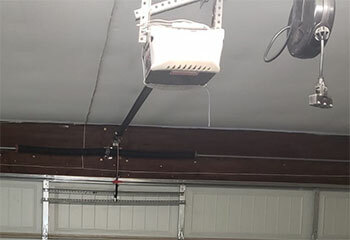 Our Solution: We made a few recommendations, and the customer decided to get an insulated carriage house garage door from Clopay's GRAND HARBOR® collection. We then installed it for him and made sure he was happy with his choice. Our Solution: We inspected the track in question and found it was severely bent and also incredibly rusty, so we carefully removed it and installed a new one of matching dimensions in its place. 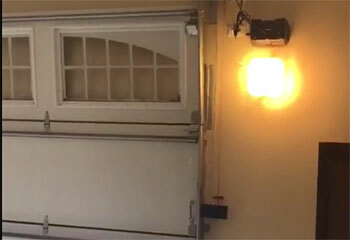 We then realigned the door rollers with the track and made sure the system could open and close smoothly. 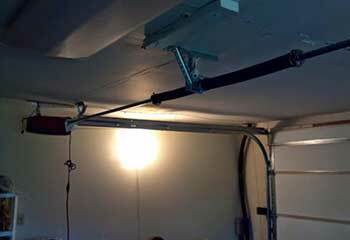 Our Solution: We first disconnected the opener, then we unwound and removed the leftover parts of the damaged component and installed a new torsion spring in its place. After making sure the door could open and close safely again, we reconnected the opener and tested the system a few more times just to be safe.